Why would I need self storage in Salisbury, NC? There are a variety of reasons why you might need self-storage in Salisbury, NC. How much is a storage unit in Salisbury, NC? The cheapest storage unit in Salisbury, NC is $52.00 per month. What size storage units do you have available in Salisbury, NC? In Salisbury, NC we have sizes that range from 5'x10' to 20'x20' to suit your storage needs. How much is it for a 5'x10' storage unit in Salisbury, NC? The cheapest 5'x10' storage unit in Salisbury, NC is $52.00 per month. Salisbury is a mid-size city at the hub of North Carolina's historic Rowan County. Though it draws many artists and creatives, Salisbury also has a thriving business base built on the manufacturing, textiles, construction materials and automotive industries. One of its more distinctive claims to fame is as the home of the much-beloved North Carolina soft drink, Cheerwine. According to public record, Earl Granville conveyed a land deed for 635 acres for what he called the Salisbury Township. The community was established at the intersection of two major Native American trading routes and quickly grew into a major economic center along North Carolina's Great Wagon Road. In the years leading up to the Revolutionary War, Salisbury served as a hub of both the militia and judicial districts. 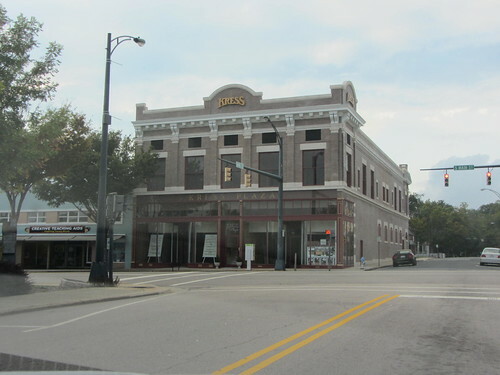 By the late 1800s, the arrival of the railroad turned Salisbury into a major thoroughfare. Industry, especially for its many textile mills, flourished in the city in the 20th century. Salisbury has a small-town atmosphere, but offers plenty of options for recreation and entertainment. Downtown Salisbury covers 30 square blocks and features numerous buildings from the early 1800s, including the 1820 Dr. Josephus Hall House and 1819 Utzman-Chambers House. You also can explore the downtown Salisbury History and Art Trail, which exhibits a mix of historic pieces and local art to tell the story of Salisbury's history. The area's natural beauty makes it a favorite for outdoor attractions. Dan Nicholas Park and Campground, Dunn's Mountain Park, Eagle Farm, Eagle Point Nature Reserve and other parks offer many opportunities to get outside and enjoy the area's mild weather. Students in Salisbury attend schools in the Rowan-Salisbury School System. In addition to elementary, middle and high schools, the district encompasses one early college and one alternative school. There are a handful of private schools in the area as well. Utilities: Rowan Works and Salisbury-Rowan Utilities provide local utilities. Garbage and Recycling: Trash, yard waste and recyclables are collected curbside once a week. Transportation: The city has a public bus network with three regular routes and two weekend routes. Salisbury, like many neighboring communities, is an affordable place to buy a home. The median home price is well below the national average, and the housing market offers a wide range of options. You can choose from apartments, town houses, condos and a variety of single-family homes, so it should be relatively easy to find something that fits your needs and style. Our lowest priced units in Salisbury, NC average $52.00 per month. 112 people have reserved units in Salisbury, NC in the past 30 days. There is 1 location within Salisbury, NC's city limits. There is 1 location in Salisbury, NC that offers AC and Heating features.